We all know that flexibility, strength and stability are needed for everyday things like standing, walking, running, crouching, jumping, turning and more – motions we often take for granted. Knee problems can interfere with many things, from participation in sports to simply getting up from a chair and walking, all of which can and often do greatly impact our patient’s active lifestyles. 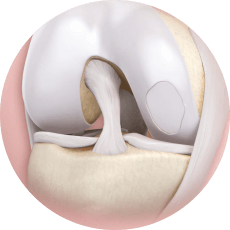 If you have an injury to your knee’s cartilage, chronic knee pain due to osteoarthritis (also known as “degenerative joint disease”), or simple wear and tear of your knee due to other medical conditions, you may be a candidate for our MACI procedure. The MACI procedure offers our patients a simple, outpatient, natural alternative to traditional invasive surgery, as well as reduced recovery time. 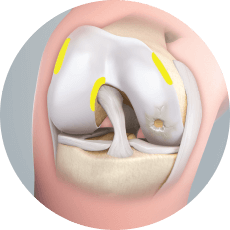 The more common surgical option for patients with knee injuries or pain usually includes arthroscopic joint surgery or total or partial knee replacement. But, today we are finding that many of both our younger and older patients are looking for a viable alternative. That is where we help them carefully evaluate the short and long term benefits of the MACI procedure. Whether you are considering surgery or not, our team invites you to talk us about the benefits of MACI. A small biopsy of healthy cartilage is taken arthroscopically from a non-weight bearing area of our patient’s knee. The typical harvest sites for this biopsy include the intercondylar notch and the proximal aspect of the medial and/or lateral femoral condyle. The biopsy is sent to Vericel’s cell-processing facility in Cambridge, Massachusetts. 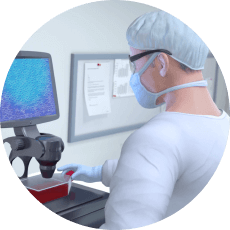 This state-of-the-art cell-processing lab provides optimal product quality, safety and proven experience in cell-based therapy. Chondrocytes are extracted from our patient’s biopsy, expanded and uniformly seeded onto a resorbable Type I/III collagen membrane. After several weeks in the controlled lab environment, MACI is delivered to our POA MACI team via courier for the procedure. 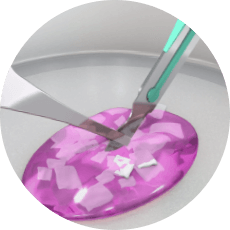 To ensure precise sizing, our team uses sterile materials to create a template of the defect prior to the actual implantation. 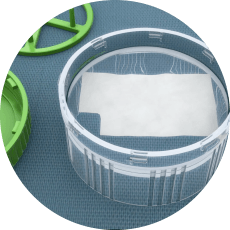 Furthermore, the MACI implant can be easily cut and shaped to the appropriate size proving our surgeons with a custom fit implant based on each patient’s actual anatomy of their knee. The MACI implant is then inserted and secured in place using fibrin sealant and requires no sutures. All of our patients who receive the MACI implant will then follow our MACI team’s rehabilitation program. Patients ideally will begin rehabilitation within hours after treatment. Our shared goal is a quality outcome, improved mobility and freedom from pain.